Standing only 14cm high Tinkerbelle is sure to delight any little girl. 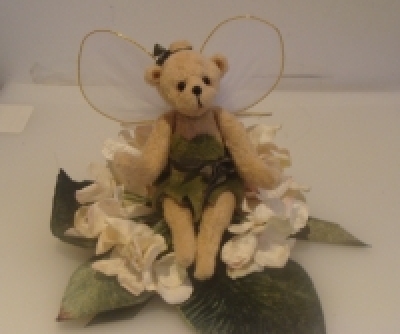 Made from Paris Mini Bear fabric Tink is a string jointed bear with a T Pin joint in the neck only. Kit contains fabric, eyes, nose, T Pin Joint and wings.